Donors invest in people, so it is vital to build a strong working relationship with your donors. This involves regular communication about the project or programme they are funding. It can involve inviting them to events which they may be interested in attending. It may also involve wishing them on special days such as their birthday or religious holidays that they celebrate. In order to build a relationship you need to find out as much about your donor as possible to ensure that your communication with them is relevant and well received. Make sure that you don’t only communicate with them when you want to ask for money. It is important to not only give key donors a final project report on completion of the project but also to give them interim progress reports during the project or programme. These reports illustrate that all is progressing well and to make them aware of any achievements or changes during the course of the project/programme. It is also a good idea to send them a report six months after the project is completed to relay any successes now that the project/programme is up and running. The Trust prepares progress reports for each of its top donors,a s well as a final report on each project or programme. 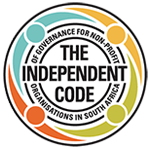 We will often provide a personalised report for donors who contribute upwards of R100 000. However, we work closely with each of our donors to satisfy their individual reporting requirements. If a ‘smaller’ donor also requires reporting, the Trust is happy to oblige. Make sure your donors are aware of all your organisation is doing by giving them easy access to information. This can be done through newsletters (the Trust sends out quarterly newsletters via post and email), your website (make sure to update it regularly), your Facebook page (essential to update it daily), and Twitter. In addition it is important to try securing maximum media exposure so you can guarantee that current topical information about your organisation/project is in the media. Brochures (both printed and electronic) are important sources of information about your organisation. In order to cultivate certain groups it is useful to create specific programmes where one can give dedicated attention to this donor group. The Trust has three programmes that target individual groups of donors. Special forms of communication are developed and special events are organised specifically for these various groups, thus allowing us to target specific audiences directly and communicate with them more effectively. The Trust’s specific donor group programmes include the Circle of Life Programme for donors who are interested in leaving a legacy in their will for the Trust; the Grateful Hearts Programme which focuses on parents of patients as well as past patients; and the Guardians Programme for donors who give R5 000 or more per annum to the Trust and works on building relationships with these donors through collective appeal. With large donations it is important to have formal agreements with the donors which will detail payments, reporting requirements and anything else which is expected of the organisation in terms of the conditions of the donation. This agreement can be in the form of a contract or a Memorandum of Understanding and should be developed together by both parties to ensure mutual understanding and agreement. It is also imperative that all important donor conversations are followed up with a written email so there is a record of what was discussed int he conversation for both parties.